Dilated Cardiomyopathy (DCM) is a disease that affects the heart muscle. 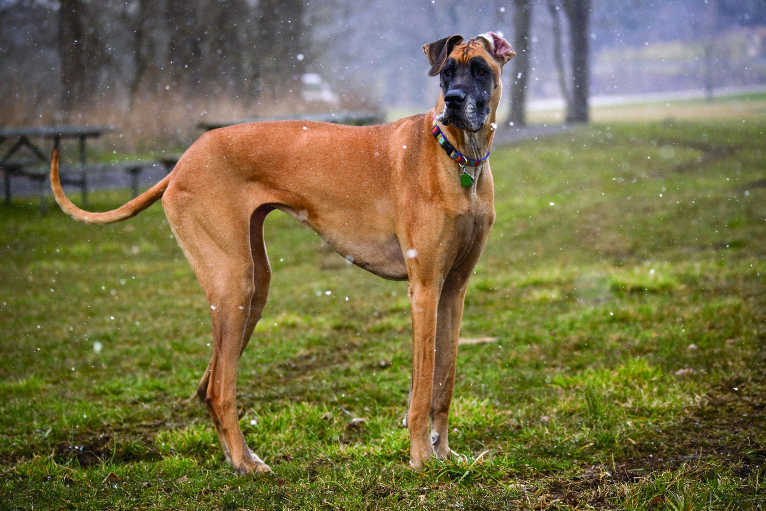 DCM affects most commonly medium to large breed dogs, such as Dobermans, Cocker and Springer Spaniels, Boxers, Irish Setters, German Shepherds, Great Danes, St Bernards and Irish Wolfhounds. DCM is characterised by two phases, a long and ‘silent’ preclinical phase where the dog will appear normal and healthy and then a shorter clinical phase, i.e. heart failure, when the dog appears ill. The preclinical phase is important because although your pet may look healthy, the changes of heart disease have already begun. In DCM, the heart muscle gradually becomes weakened and floppy. The heart enlarges and becomes very inefficient at pumping blood around the body. In addition, the heart stretches and enlarges. Because the heart’s ability to pump is impaired, circulation is also impaired. 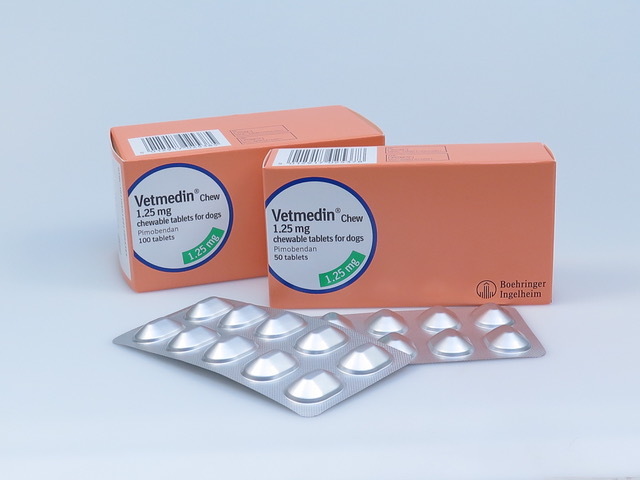 As in valvular disease, a dog with DCM can often live with the problem for a period of time, as the body makes adjustments to cope with the changes. However, at some point, the disease overrides the adjustments that have been made and your dog can become unwell and shows signs of heart failure. Depending on the results of the tests your vet may suggest a treatment regimen or test again as needed. Yearly screening is usually recommended in at risk dogs. In the preclinical phase of DCM, your dog will generally look and act happy and healthy. 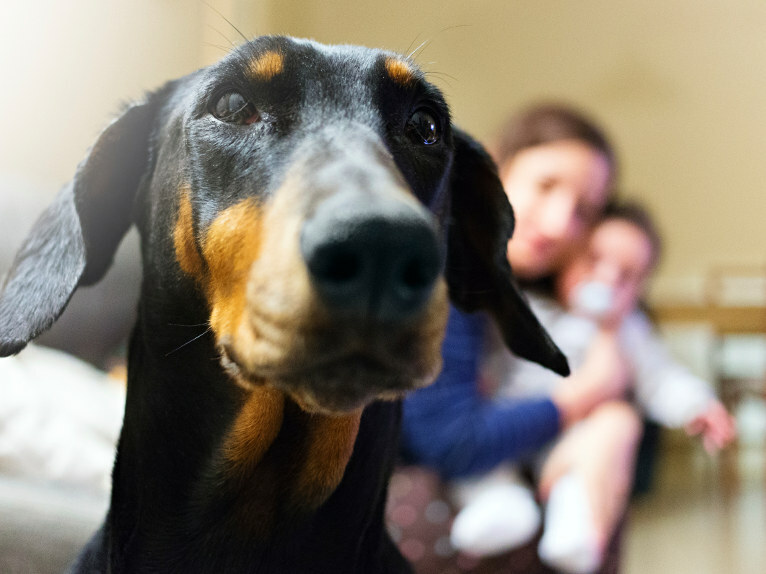 Because this disease is silent, it is recommended that if you have a large breed dog (20Kg or over) that is three years old or older, then you should talk to your veterinary surgeon about keeping a close eye on their heart health. Signs of heart failure can initially be quite mild and so may be difficult to pick up. However, as the disease progresses, the symptoms can become more severe as the heart’s function deteriorates. This stage is known as congestive heart failure, when the heart is no longer able to pump sufficient blood around the body. When your vet examines your dog, they may find signs relating to heart disease and congestive heart failure. Listening to your dog’s heart with a stethoscope will allow a vet to pick up a murmur if it is present. The heart rate and rhythm can also be assessed using a stethoscope. Your vet may also detect harsh sounds when listening to the lungs. The vet may also pick up other signs that your dog’s heart is not working well such as fluid in the abdomen and poor pulses. Your vet may also recommend further tests to help determine the cause of your dogs problem. Blood tests may be recommended to check your dog’s health to see if they are suitable for medication and to check that the rest of their body is healthy. They will also likely check specific heart-related markers in the blood. This is an ultrasound scan of the heart and can be used to assess the heart whilst in action. The heart’s walls, chambers, valves and blood vessels can be accurately observed in 3D. Whilst ultrasound is the most accurate method of diagnosing heart disease, it may not be necessary in some of the more straightforward heart disease cases. Electrocardiograms (ECGs) can record the electrical activity of the heart and can be used to diagnose rhythm problems. These problems are more common in heart muscle disease (DCM) than in heart valve disease(MVD).Regular veterinary visits are very important for early detection of heart disease or to monitor the treatment of a dog with heart disease. Regular mild to moderate exercise is thought to be beneficial for dogs that have only mild signs or symptoms of heart disease. However, if your dog seems tired, stop exercising and allow them to rest. It is very important to seek your vet’s advice about whether exercise is suitable for your dog and to what level. Some dogs may need complete rest. Contact your vet if your pet collapses or seems very weak during activity.